Yey a little bit of sun! I love not having to wear a coat, so sick of them by now! I'm really loving pretty simple outfits with bright jewellery lately, and I love these Topshop crop tops! I've got one in black and one in white but may have to get more... Oh well, they're only £6 (or two for £10). 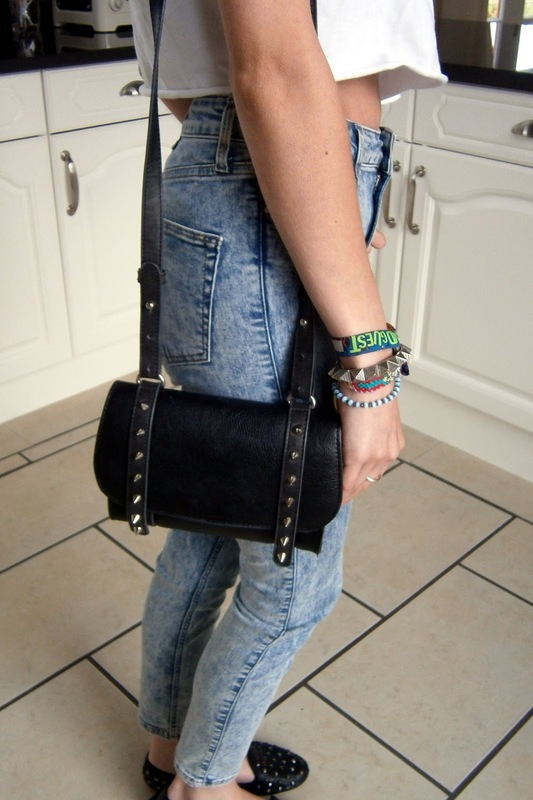 I'm going shopping again as soon as my Asos parcels arrive (god help me, must stop spending). gorgeous outfit, i love your jeans. 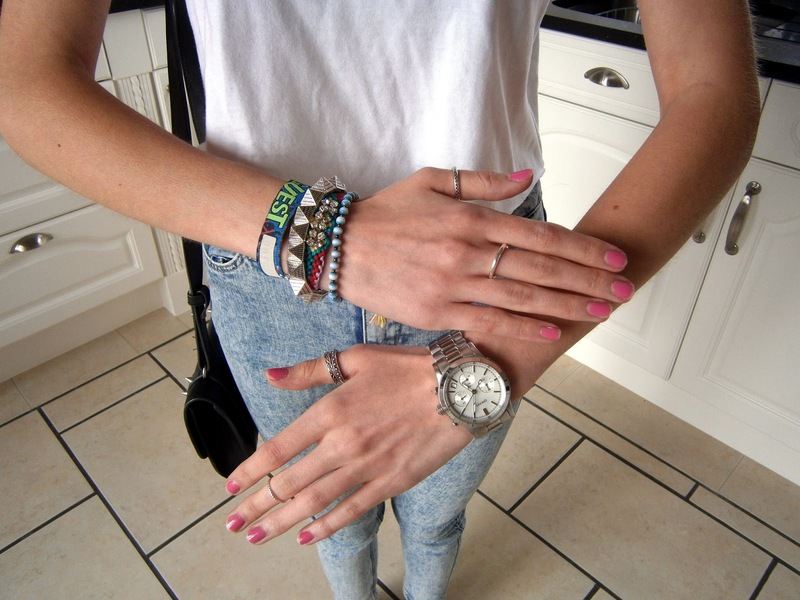 Great Outfit ,love the Bracelets! Cute outfit! Love the jeans and shirt! Loved your blog and will come back for sure! yyey i love crop tops!! Stunning and your figure is amazing!